As a college student, with all of the assignments, course loads, and social life demands, how can you grow your entrepreneurial spirit and pursue the project of your dreams? Talent Nyumbani is a social non-profit organization that I founded in Kampala, Uganda before arriving at the University of Rochester in 2016. This organization aims to bring out the best in the youth of Uganda. 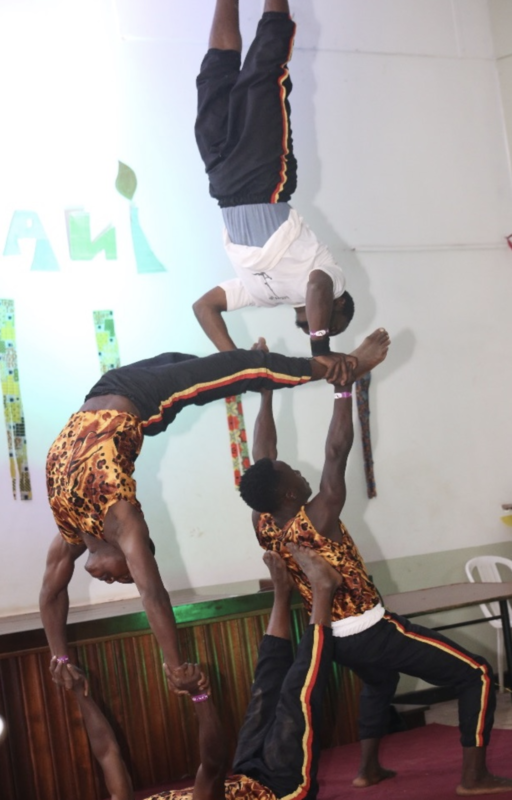 We continue to promote and showcase talents, as well as innovations in science and technology, art and photography, dance and music, and poetry and rap. On a flight back home from United World College in Costa Rica, I was highly energized and motivated to start a new venture that would create impact in my home country. I first thought about setting up a house party for friends and charging a fee, but this idea was flawed. What value was I was creating for my peers in Uganda? As I thought deeper about it, I referred to a book that I pleaded with my brother to get me. This was The Personal MBA by Josh Kaufman, a concise guide on how to start and manage a successful business. The first chapter was about ‘value creation’, an element that gave purpose to a business. As I assessed my background & surroundings, I began to wonder why some students who were smarter than me in class weren’t recognized for their creativity and skills. I realized that there was a gap in giving opportunities to the youth and young people lacked an avenue to share their unique talents. From that moment, I knew that I wanted to create a “house party” that empowered the youth to bring out the best of who they are; this is where the idea of Talent Nyumbani stemmed from.The literal translation of “Talent Nyumbani” in Swahili means the house with talents – a welcoming place for youth to explore, discover, and share their talents. In the summer of 2016, I set out on an “undercover” search for the dream team: a team that displayed passion and a zeal for success. The quest to find the right team members is cumbersome, but the outcome of a great team who shares your vision is invaluable. 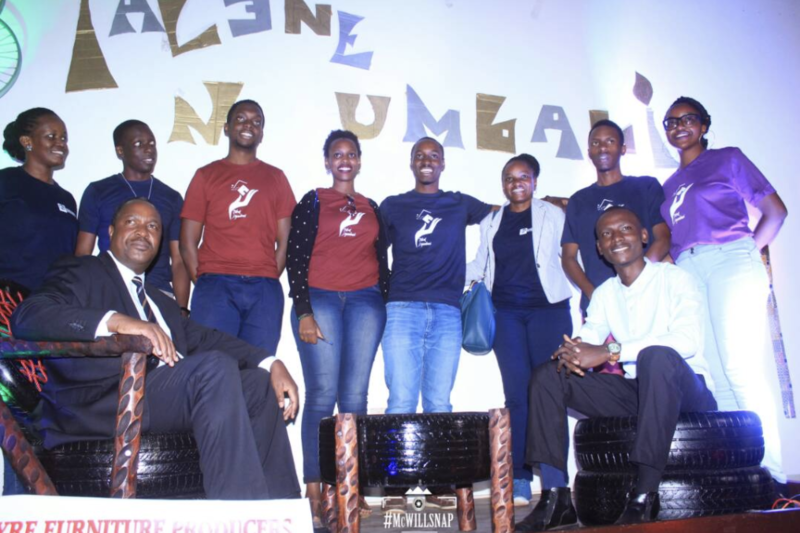 A common saying in the startup scene is, “ you would rather have a bad idea and a good team as opposed to a good idea and a bad team.” The team I found was able to share, criticize and objectively make decisions which steered Talent Nyumbani in the direction it is today. Now and again, there are disappointments that arise with the expectations you have with some of the team members. An example is I found some team members interested in short term gains and quick profits. I approached the situation by being observant rather than judgmental to objectively identify the strengths and weaknesses of each team member. In the end, an entrepreneur retains the team members who add the most value to the project and passionately driven to achieve the mission/vision. Our first event took place in July, 2016. My original idea was to have a month-long event with different activities on each day (such as workshops, performances and networking sessions). With advice from my team, we pivoted to a shorter period of one week. The first day was terrifying as we barely got any attendees. Painters and photographers came to display their work but no one had come to view it. Had I wasted all my time and effort on something that wasn’t needed? Resiliently, we waited for turn out. Over the course of the week, we had an increase in the number of attendees which boosted our confidence and, with appreciation for the idea, our team saw the need to hold a second event. The second event was held on January 12, 2018. This event was a success with a turn out of 170 individuals, more than 100% increase from the last event. We also incorporated a hackathon that brought rise to technological ideas with a potential to disrupt the agricultural sector in Uganda. 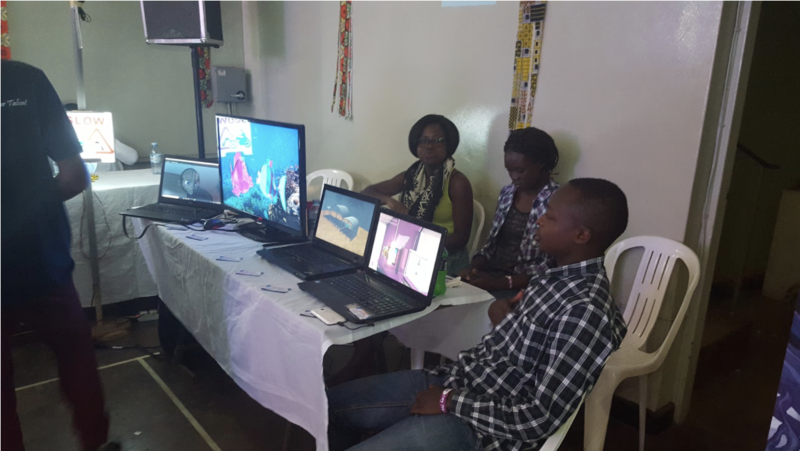 We had more partners on board this time such as the University of Rochester, Outbox Uganda, Innovation Village, FundiBotz, amongst others. This event was also graced by the presence of Dr. Elioda Tumwesigye, the Minister of Science, Technology and Innovation in Uganda. Failure is common when it comes to startups and it comes in so many forms: failure to secure funding, failure to get the team to agree on a particular direction to take, failure to get the right location and failure with the idea itself. For Talent Nyumbani, my goal of creating an open house seemed impossible to achieve when I failed to get a location and when we failed to advertise in time. Day in and day out, I invested my time, effort and resources to make the impossible possible. I received feedback of all sorts, some saying that I didn’t have enough expertise to get the project going or that the idea wasn’t ready for a market like Uganda. The process of starting from an idea and working towards a finished product is what builds an entrepreneur through failure and continuous progress. The best way to deal with failure is by being calm in the most difficult situations, understanding the root cause of a problem and crafting solutions together as a team. Without the support structure of your team, a leader is destined for failure. Whenever an issue arose, I’d gather the team and we’d tackle the problem together. Each team member had a unique contribution and perspective. Problem solving requires robust brainstorming and immediate action in order to mitigate any future challenges. In the end, we encountered financial, logistical, management and service delivery problems. However, we conquered these because of our team spirit and vision for the project. When starting up, it is advised to have the long-term vision in mind. 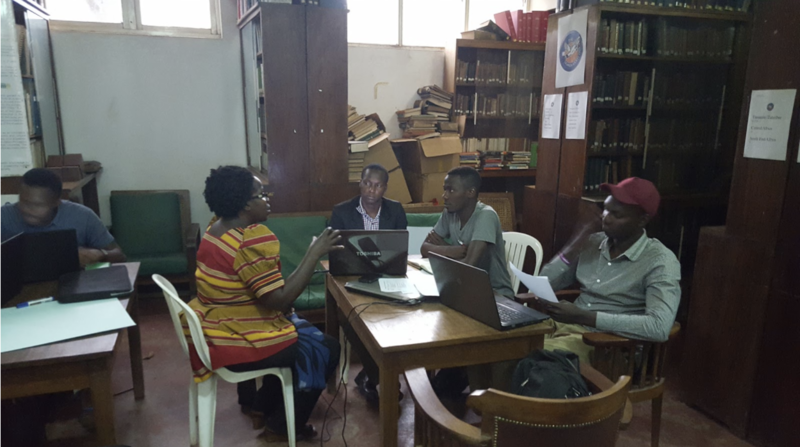 We are currently working on improving our presence online in order to be more accessible to other youth in Uganda and surrounding neighbouring countries. It is our intention to conduct regular events at high schools and universities around Uganda in the upcoming year. With the growing partnerships we create, we are incorporating mentorship, skills development and outsourcing internships. We welcome anyone who is interested in empowering the youth and solving the issue of unemployment in developing countries. Our long-term vision is to bring out the most outstanding talent in Africa and share it with the rest of the world. Joshua “Dewey” Bazirake is a member of the class of 2020, studying Financial Economics. During his first year at UR, Bazirake founded Kwetu, a student organization dedicated to promoting and encouraging entrepreneurship and development on the African continent. Recently, Kwetu co-hosted the inaugural Africa Business Conference with Simon Business School. Bazirake has also participated in the NSF I-Corps Site grant and training program, to learn how to conduct customer discovery in his efforts to commercialize and idea to harness data to streamline group travel.